In the digital age, social media has probably turned that five minutes into less than two minutes. Sites like Facebook and Twitter have been around for a decade. But, even today, many seasoned crisis response experts are less confident when it comes to social media crisis management. A great example of how fast a major corporate crisis can occur in the digital age is the case of Nestle’s Milo beverage, a popular beverage outside the United States. In January 2018, an e-learning entrepreneur published a video on his Facebook account critical of Milo. He claimed its sugar content was 40 percent and that the product was not as “healthy” as Nestle claimed. The video went viral with over 800,000 views in a very short timeframe. Nestle eventually responded with one of their nutritionists stating that a recommended serving of Milo contains only 6 percent sugar and that the 40 percent sugar stated on the label referred to Milo powder before water was added. A debate about the two contentions rages on in social media. In the end, Nestle will probably never be declared the winner. Lasting damage to Nestle and the Milo product? Unknown. So what’s a company to do in a time where the reach and speed of social media has vastly altered response timelines? Tactics need to address the new reality, but the principles of effective crisis management and communications remain the same. 1. Monitor online chatter – Some companies are doing this, but too few see it as a priority. The ones that do it effectively will usually have a trained team respond to a critical comment on social media the same day, attempting to provide facts and solve the problem. 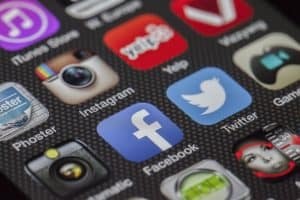 A number of good social media monitoring software options are available that will furnish a notification every time a company’s brand is mentioned. All companies should invest in this technology. 2. Respond quickly – In Nestle’s case, their social media response was much quicker than their traditional media response (two days versus five days). But in today’s world, even a two-day response is too slow. It should have been the same day. For every hour’s delay, thousands of social media users can and will respond with their own points of view, often inaccurate. As in Nestle’s case, they won’t hesitate to share the negative content over and over. 3. Have a crisis management plan – We have talked about this many times in the LPM Insider. All companies need to have clear procedures and policies that address various types of potential crises. Have a specific crisis management team in place and regularly conduct practice tabletops and drills. Have specific communications protocols in place, including those that address social media crisis management. 4. Go social – Yes, press releases that contain accurate facts and figures and address misunderstandings are important. But, in Nestle’s case, the people who watched the viral video were on social media. A press release is not as effective with that audience. 5. Use multimedia content in a creative way – Companies should have social media crisis management plans in place and know what kind of multimedia content will go viral. A creative video is usually more effective than plain text. Practice, practice, practice. Social media has completely altered crisis response timelines. Basic crisis management principles still apply but savvy companies must master social media response as a critical part of their program.